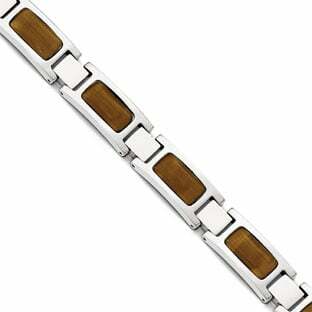 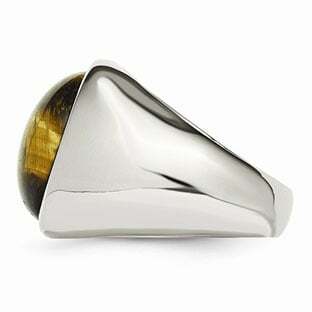 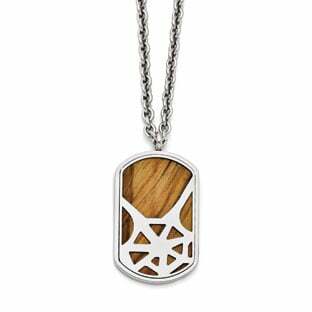 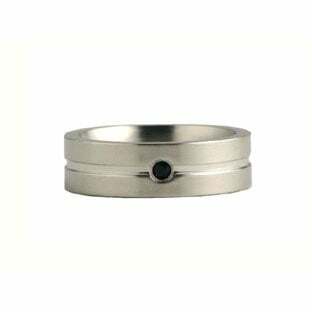 Stainless steel has become one of the most sought after materials in men's jewelry as of late, and it's no wonder why. 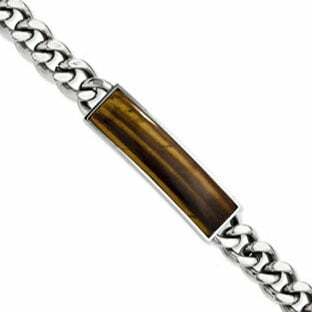 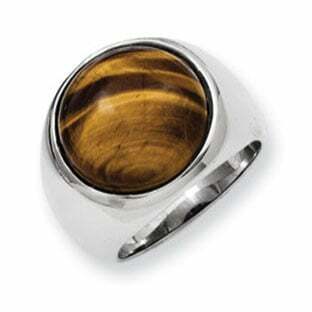 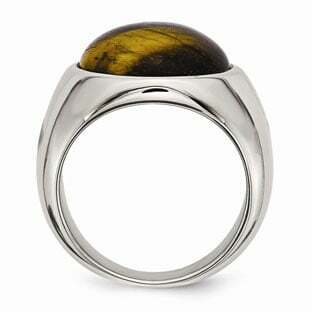 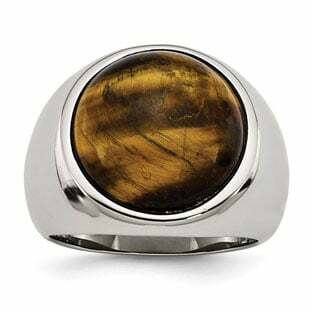 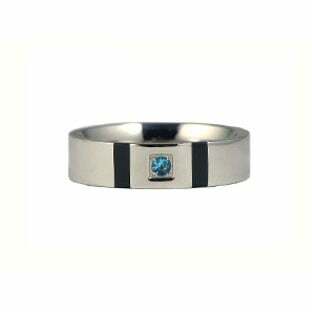 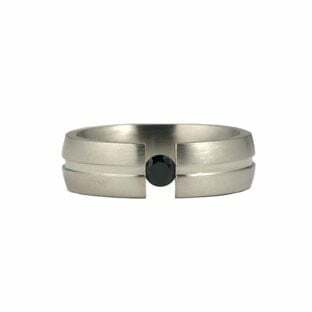 This men's ring is crafted of solid Grade 316L surgical stainless steel and has a large 18MM round cut tiger's eye gemstone for extra style. The ring is 10MM wide. 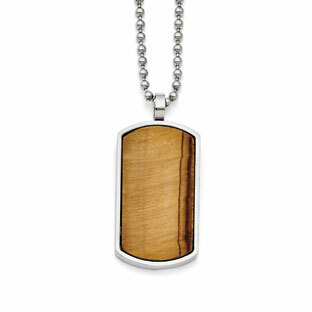 Perfect for everyday wear due to its extreme comfort!